Exclusive Chrometherm® coating, for this new line of bathroom accessories. This single rod towel rack connects functionality with style. Strength and stability is ensured by its high quality brass construction. The chrome plated finish adds a modern touch to suit any home decor. A warm welcome greets you every time you step out of the shower or bath, thanks to the Ancona Comfort 7 Wall Hardwire towel warmer. Its chrome elegant timeless design and convenient size, allows an easy installation in any room needed, blending perfectly into the space available. As the name implies, this item features 7 racks for accommodation, reaching ideal thermal warmth and coziness in only minutes. The Comfort 7 Hard Wire includes the additional feature of a 24 hour 7-day digital timer which is great for energy savings and security. The hard wired plate discreetly conceals the wire, creating a flawless fit into your wall. Gorgeous in bathrooms and full of possibilities in the laundry room, exercise room, mudroom or bedroom - it's the indispensable item for your home. Orbit 3 Tier Storage Rack Upscale design, maximum functionality and exclusive Chrometherm. coating, for this new line of bathroom accessories. 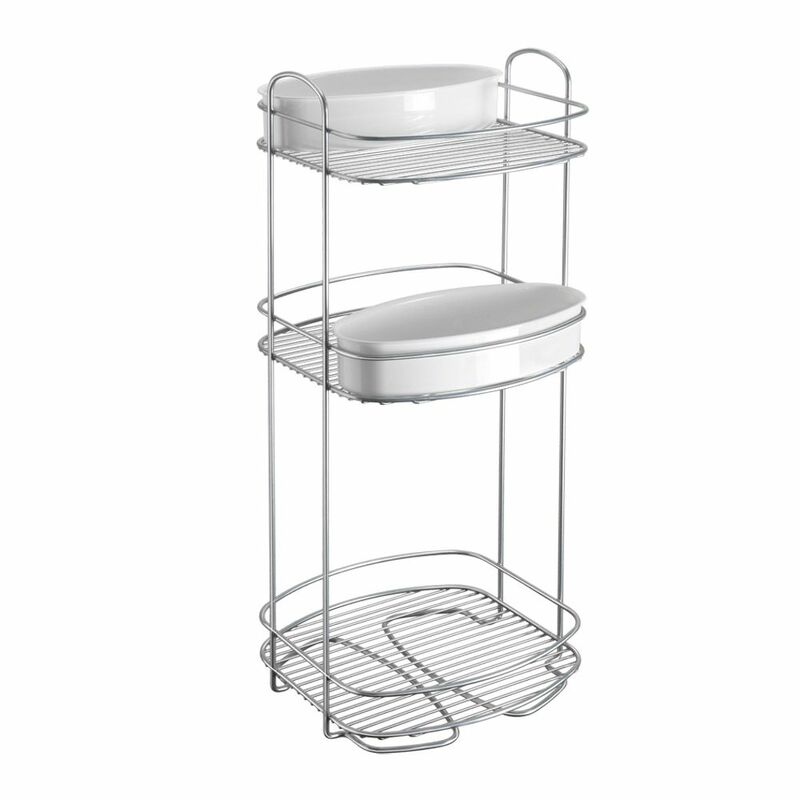 ORBIT line, made up of different shelves with chrome look and practical ceramic-white plastic containers to store all kid of objects and bath products. Designed to be hung or simply placed wherever desired over the bathroom countertops.